I drove the Mini to work today and had the opportunity to park it next to a Challenger and a extended cab pickup. 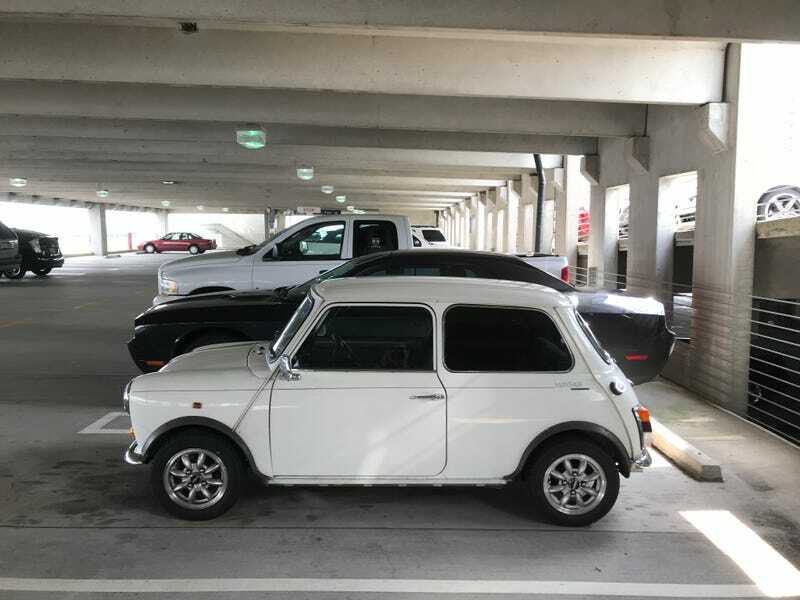 As can be seen the Mini is still small. One thing I did notice is the temp went up quite a bit in 93 deg Atlanta traffic. On the 4th I’m going to be in a parade with it. Overheating is a risk. I’m thinking of flushing the radiator and using some water wetter. Any other ideas for helping it run cooler?